Multi Dice™ on Gaminator will call for all your skill! 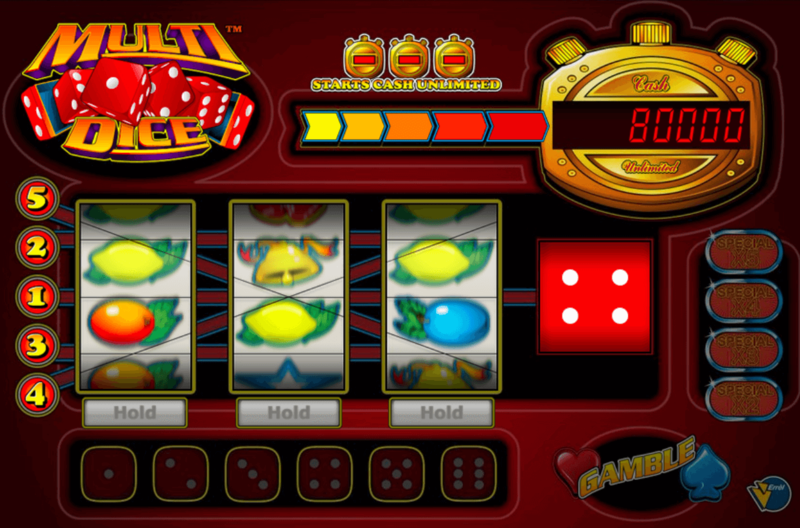 Multi Dice™ is a modern, faceted Vegas slot with a refreshing twist guaranteeing excitement and big winnings – no other slot can even hope to come close! Multiple win lines, gamble feature, progressive bonus feature and a dynamic free spin feature will ensure you get the most out of every spin! 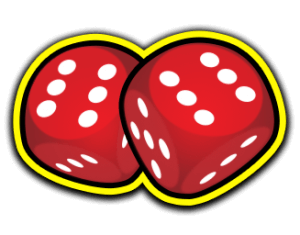 The red dice is the scatter symbol of the Multi Dice™ slot game. When three of them show up at the same time, you can press stop to throw the dice. The sum of the points shown on the winning dice will be the sum of the free spins you’ll get – up to six. If you get three golden stopwatches at the same time on any line, the bonus shown in the stopwatch in the upper right-hand corner will be added to the players Gaminator credits. The base mechanics of Multi Dice™ cover standard Vegas slot rules: across 3 wheels and along up to 5 win lines you get to try and align as many of the classic symbols as possible every round. 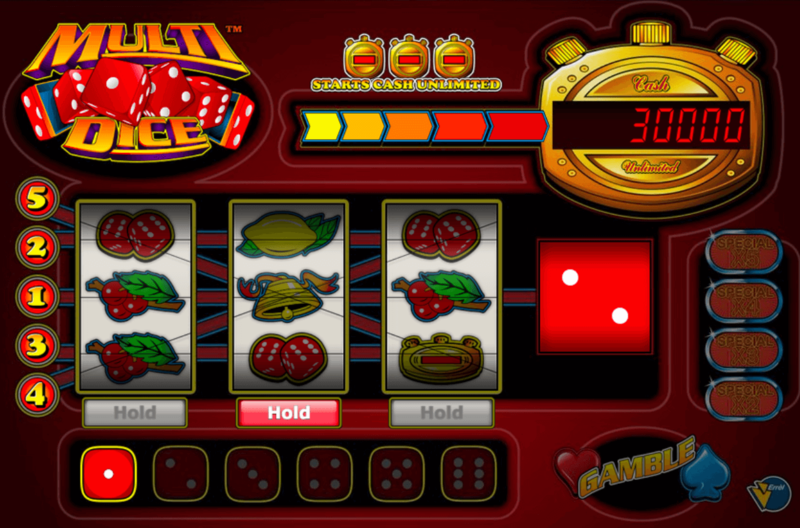 Cherries are the standard win symbols, while melons, red sevens, and blue star icons constitute the highest payouts, respectively. Scatters, per usual, pay out their allotted winnings on any position, independently of their position on the wheels. Newly introduced with our Multi Dice™ slot machine is the Hold feature: found the symbol you’ve been spinning for on one of your wheels? Hit the Hold-button directly underneath it and freeze the wheel for future spins – increasing your chance and scoring big even further! Such a powerful tool comes at a cost – another stake the size of your current bet is needed to keep the wheels frozen in place. Note that you can only stop up to two wheels this way, and that you cannot use it to freeze wheels already part of winning combinations! 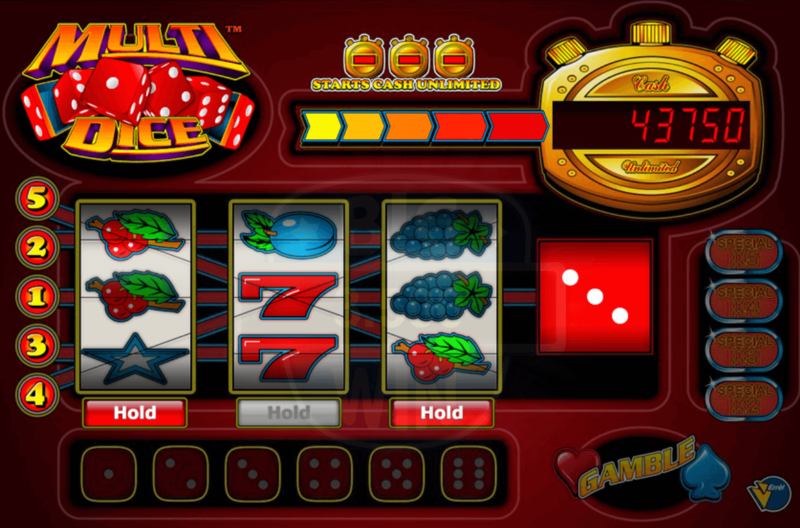 Use this innovative feature to score big wins along multiple lines, and experience what it means to score jackpot after jackpot! This is of course not everything our new slot has to offer! Score at least 3 dice icons on any place along the wheel and you can immediately roll for up to 6 “Win Spins”, Multi Dice™ variation of free spins. Completely stake free, completely scaling with your bet amount. As soon as you enter the win spin-mode, a symbol on the right side of the screen will flicker to live. 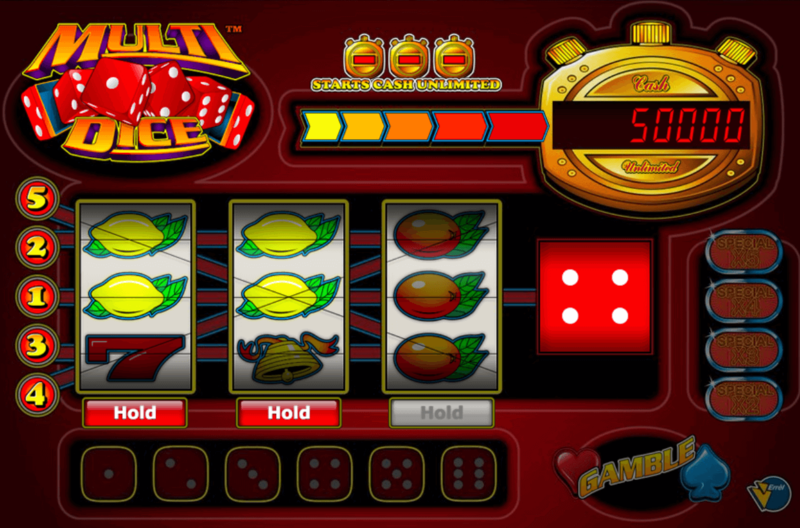 That is your multiplier, increasing your total winnings during those free spins YET AGAIN! We went all-out with mini games and features in our new slot machine, and we can back our claims up indeed. See that stop watch on the top right? That’s our new “credits galore” mini game. Each spin of the wheels causes the numbers on the watch to reset to a randomly selected amount. 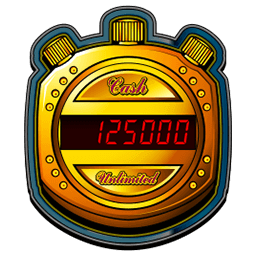 As soon as you manage to hit three little watch symbols along any of the win lines, you will receive the amount shown on its display immediately, and that spectacular sum can, of course, be subjected to any and all additional bonus games currently going on! Which brings us to the gamble feature. Once again you get to gamble your current winnings all-or-nothing style each round, and once again this is where some of the biggest jackpots on Gaminator ever came to pass. You think you got the nerves to wager what you worked so hard for? Go on, show what determination and a little bit of luck can achieve! Quality gaming directly in your browser window! At Gaminator you get to play the best Vegas slots in their latest and best versions, entirely for free and with 100% of their functionality. We believe in quality before all else, and strive to make Gaminator the best social gaming platform for fans of Vegas slots across the globe!